Pichart Yapan from Bangkok, Thailand, has been working long enough to know that a full time job doesn't guarantee security. After more than 10 years in the retail industry, he experienced getting transferred to a new department against his will and being forced to quit due to company budget constraints. He saw friends that got laid off and businesses that closed down. "Some say that working in a company is the best way to earn your keep, but my experiences made me believe otherwise. Still, I had to keep working because it's my family's bread and butter," said Pichart, who is currently employed as a Budget and Control Manager in a multinational company. The grind and competition was tough but he had to keep up. When he thought about the future, Pichart decided against being an office worker for the rest of his career. "I want to be able to retire early and spend more quality time with my family. Someday I want to be the one who chooses, not the choice." The beacon of hope that he saw was freelancing. Pichart is a Microsoft Excel developer with expertise in the ins and outs of retail -- inventory control, replenishment planning, sales data analysis, and warehouse management. Combined with his proficiency in all matters involving Microsoft Excel and Visual Basic for Application (VBA), he started a whole new career in the wee hours of the night. VBA jobs are quite lucrative online, as many employers turn to freelancers to design and create complicated sheets on Microsoft Excel. It's a task that very few would hire a full-time person for. Pichart saw this as an opportunity and a Google search led him to discover Freelancer.com. He immediately learned the ropes and got hooked after receiving constant five-star feedback. "I loved leaving and receiving feedback from clients. It keeps Freelancer.com transparent and gives merit to workers and employers alike," he said. All of his projects are about Excel and VBA Coding on a per project basis. 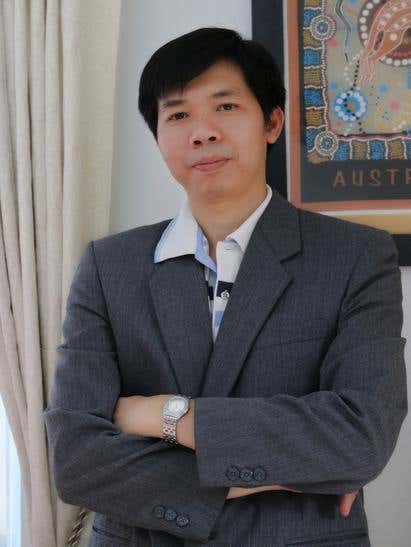 His earnings vary, but are mostly around the following figures: US$30 for designing a simple spreadsheet formula, US$70 for data cleanup and data manipulation (depending on the complexity and number of records), US$100 for VBA coding and US$250 for VBA with complex spreadsheet and user interface design. His biggest project and most unforgettable one so far was with Daniel, an employer from Denmark. After Pichart finished the first project, Daniel directly hired him for more. "Since then, I have completed more than 10 projects and it's still ongoing. I'm proud of being part of Daniel's business. He recognizes my efforts and treats me like a friend, not just a worker," Pichart said. Although freelancing gigs work for Pichart, he said that it may be too early to realize his dream of becoming an independent worker. However, he said: "I can see the light at the end of the tunnel and Freelancer.com makes it clearer where I want to be."